When we returned from living in Montenegro in the summer of 2006, we bought a van. We splurged and bought a new Toyota Sienna. Exactly one year later, we set out to drive to Nova Scotia, the land of RAPPIE PIE. We had never heard of Sugarloaf and had no idea how important it would come to be to us. Lastborn was only a twinkle in her daddy’s eye. And yet, our route from our home in Ontario to the Canadian maritimes was going to take us down highway 27 in Maine, into the Carrabassett Valley and right past Sugarloaf. We had booked a room at the Stratton Motel, not far into Maine from Quebec. And what a dive it was when we finally made it there. But I digress. Knowing that Maine was the hideout for gangs of moose, we planned to arrive at the motel before dusk. Mapquest (remember it?) was in its infancy and for some reason rural Quebec and the backwoods of Maine weren’t the top mapping priority. As a result, our driving directions were more blueprint for heated debate than concrete directions. We made a wrong turn once or twice (or thrice if truth be told). Dusk was upon us as we crossed the border. 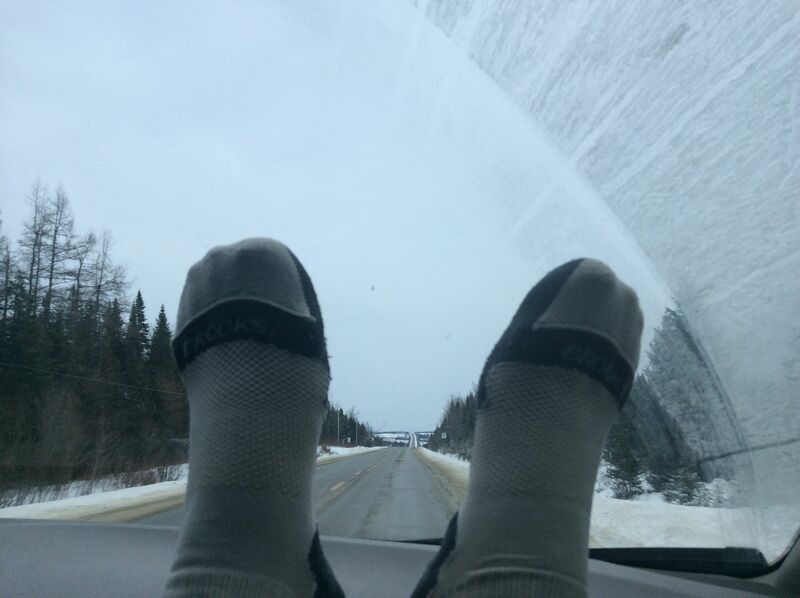 How to explain how desolate, serene and creepy Highway 27 at the Maine/Quebec border is. Those adjectives don’t normally go together, it’s true. You will not pass another vehicle, nor will you see a town or fellow human. But you will see a bunch of deer. That I will guarantee you. Lakes and trees and trees and lakes. A few more lakes. A couple more trees. Highway is a misleading term when it comes to the 27: one lane in each direction, through trees. So we were just driving along in the waning light, minding our own business when a MOOSE came out of the forest on the right-hand side of the highway. The moose wanted to cross the road and go into the much better forest on the left-hand side of the highway. Did he see the van? Oh sure, but a moose will not change his plans for a van. He rammed the passenger side of the van (SWMBO’s side), ripping off the side mirror in the process. He was shocked by the strength of his opponent, Ms. Sienna, and sheepishly ran back into the right-hand side forest (the crappy side) with his tail between his legs. Meanwhile, back in the van, SWMBO was shrieking with fear and the kids were all wailing. We drove and drove and drove in the growing darkness until we came to the very first sign of civilization, a gas station in the middle of nowhere. A gas station busy with hunters and fishermen, all impressed with our vehicle: one side crushed so badly that it wasn’t possible to open the door, covered in mud and moose hair and blood with a side mirror hanging by a wire (thank goodness for automatic mirrors). I crawled out of Fahbio’s side and, shaking, walked around the van to assess the damage. Then we gassed up, bought beef jerky and headed a few miles down the road to the motel. 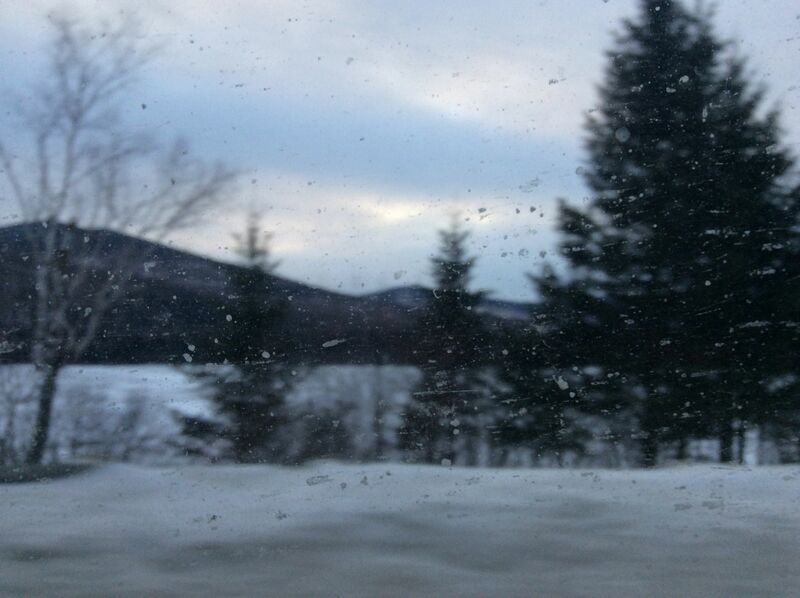 The next morning we drove past Sugarloaf and set out for Skowhegan, 90 minutes away. When we got there, we headed to the police station to get a case number for our auto insurance company. Now here’s the thing. The police didn’t want to give it to us. They told us that we should have called 911. Even though no one was injured, the van was drive-able and the moose was fine. It had never occurred to us to call 911. They wanted us to drive back and try again. That would have meant driving three hours to end up in the exact spot that we started out from. With four young children. In the end, they took pity on us. BTW, Skowhegan is a gorgeous small town with an excellent Children’s Discovery Museum. I recommend it for your next post-moose-collision recovery. 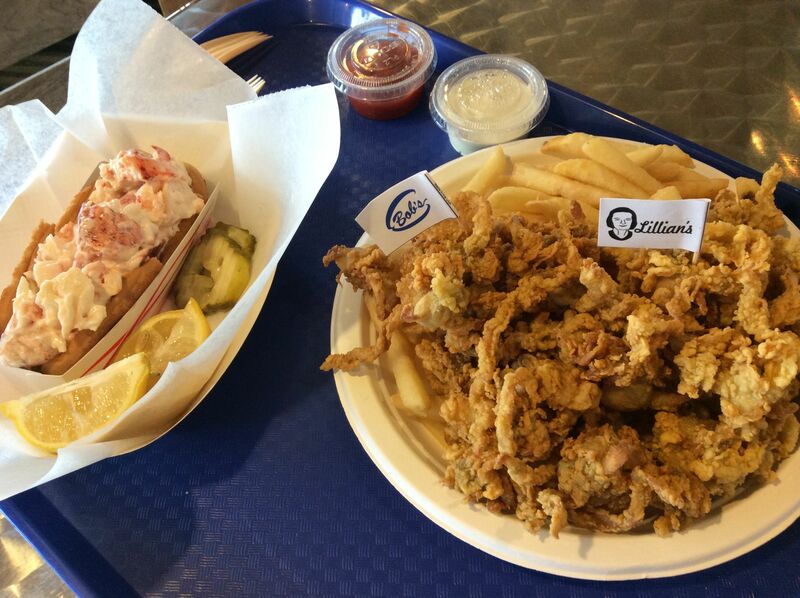 Delicious fried clams and lobster roll from Bob’s Clams, a Maine institution. We then headed to Bangor to visit the Toyota dealer, arriving shortly before closing time on a Friday. No appointment, just a vehicle so impressively damaged that no self-respecting mechanic would be able to resist dropping everything to try to fix it. Throw in 12 sad puppy dog eyes balefully looking out the windows. The mechanic told us the same thing we were to hear over and over from the residents of Maine – we were lucky to be alive. He un-dented the car door as much as possible and cut the dangling side mirror, short circuiting the car in the process. Alas, no one realized this and we drove off very late in the afternoon. A few minutes later, we were back, having noticed the problem – no systems! The mechanic went far above and beyond the call of duty – the parts store had already closed and he ran to and fro getting pieces he needed to fix our car so that we could continue on to Nova Scotia. And thus our new van survived a collision with a moose at Sugarloaf and lived to return, many more times, to the scene of the accident. Ha! Ha! 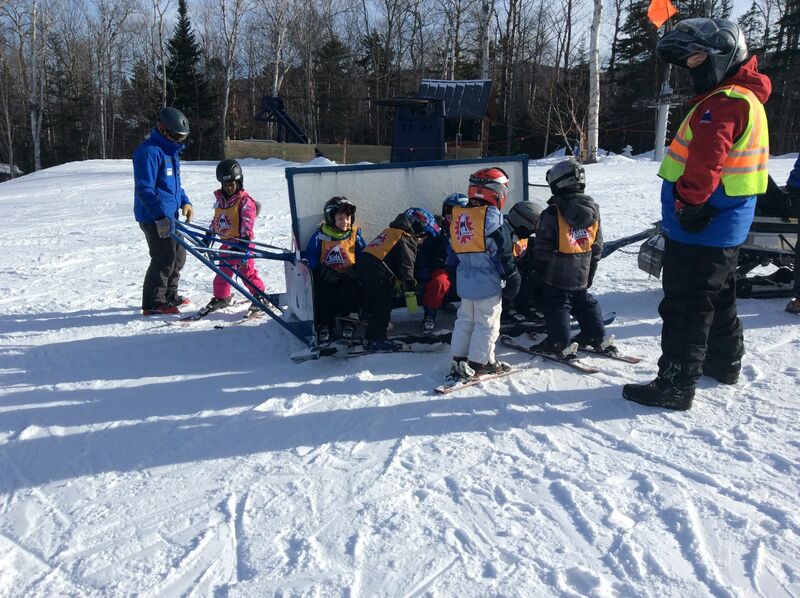 Maybe that will be Sugarloaf – Disaster #3! !